Finally some updates on Bapu! Bapu is fine and is slowly recovering from yesterday’s surgery. She is currently isolated in a low cage to prevent her from standing on her feet. For the followers who just started reading Bapu’s story, know that she broke her right shinbone. We still don’t know how this happened; we found her walking strangely two days ago and isolated her immediately. 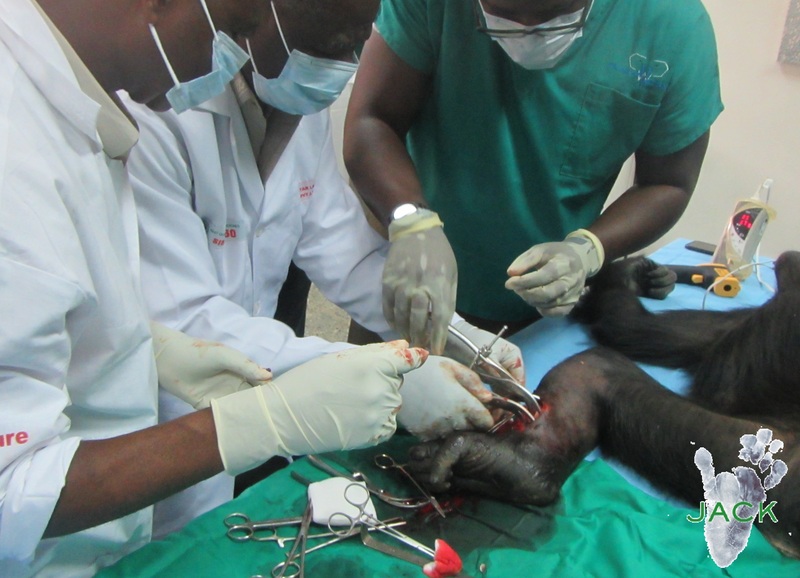 Yesterday, our young friend underwent a long surgery: 3 veterinarians worked on her leg to fix a pin with cerclage wires. The operation lasted 2 hours and half and we are extremely grateful to Doctors Binemo Clement, Lenge Moïse and Binemo Jean Claude for their great job! Thank to their knowledge and experience, the fracture was fixed. We did our utmost to find the needed equipment to work on Bapu’s leg – we are in the DRC and many things miss over here!!! 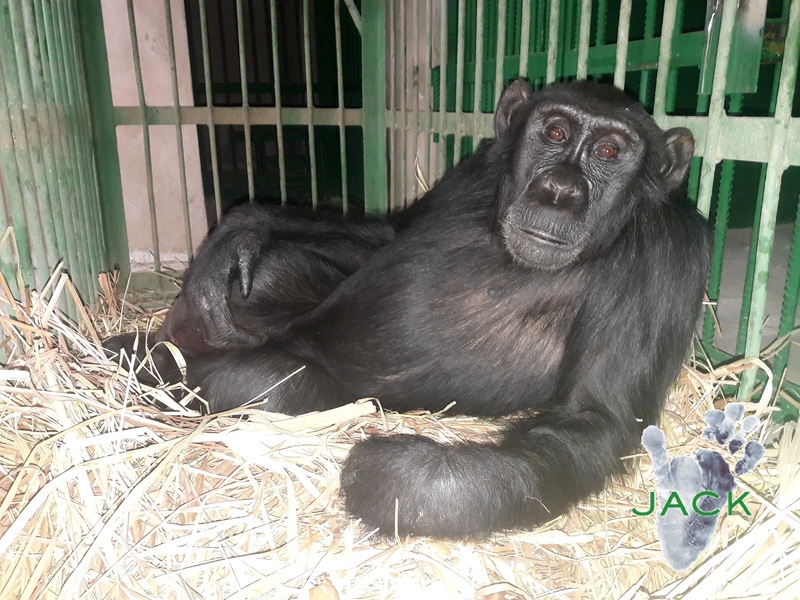 We really hope Bapu’s shinbone will heal very soon and without any trouble and that she will be able to play, jump and run just like before!!! A long healing period is in front of her and J.A.C.K. ‘s team, as usual, will do all its best to look after her!! 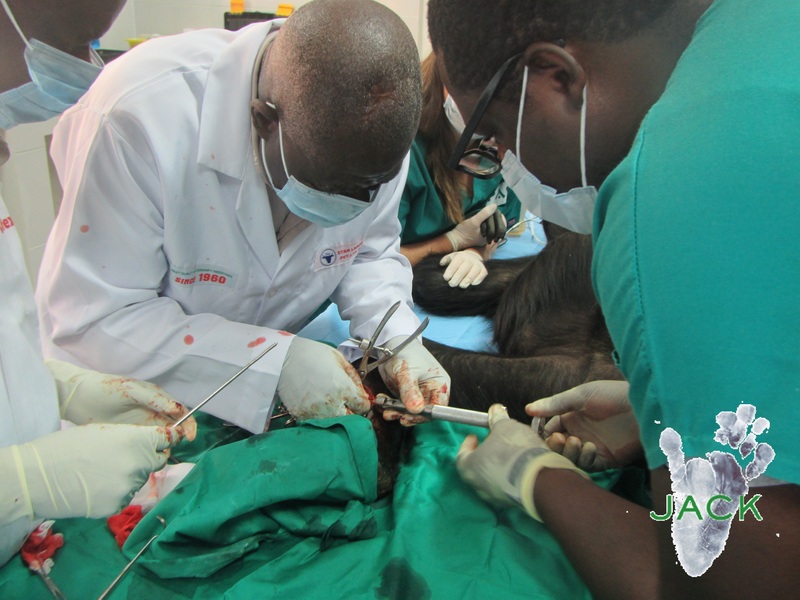 Many thanks to the veterinarians, to their assistants, to our team and to the so many friends of J.A.C.K. who have sent us lovely message of encouragements! Thank YOU all for BAPU!